Although our website is searchable, real time stock checks are not yet available to our valued customers. Lots of things are available, NOW! Please call us at 509.965.5830, or email us at adam@inklingsbookshop.com to check the availability in store for your order. Your order is important to us. Thank you for understanding, and for your business. Read more about Stock Checks! 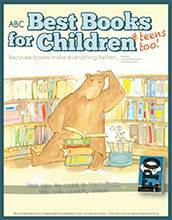 Please enjoy our ABC Children's Book Catalog, full-to-the-brim of the best and newest children's titles. Click here, or on the picture to view. Call us at the store anytime with your selections and we'll have them ready for you when you come in - wrapped in our signature red paper, if you'd like! 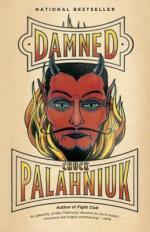 "Chuck Palhaniuk writes with fierce satire and wicked metaphor. Damned and Doomed follow a 13 year old post-dead overweight Maddison Spencer in her afterlife antics. The first two in a trilogy follow Madison Spencer as she acclimates herself to her damnation in hell. It may sound grueling, but these satires are hilarious, witty, and fast paced. 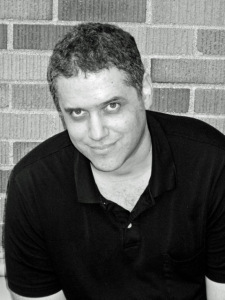 Pahlaniuk offers readers a fun, uncomfortable and unique view into his writing and highlight satire as only Pahlaniuk can. Having read the final line of Damned - "To Be Continued..." I was anxious to pick up where I left off and follow our antagonist once again. 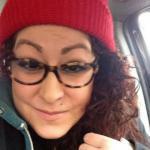 Instead of letters to Satan like in Doomed, Damned is written as blog posts from Madison's PDA. If you are looking for books that will both disgust you and bring you to rolling laughter, these are the novels for you. Pahlaniuk most certainly challenges the norms in his writing and takes you on a wild ride." "As a large fan of the Beat Generation, it is no surprise that I hail the writing of Kerouac. Though he is most famous for his book On The Road which was written on a single roll of paper, Dharma Bums is by far one of my favorite books of all time. It is both enlightening and poetic and truly makes you think about life the way Kerouac sees and interprets it. All characters in this book are based on actual people and poets of the Beat Generation. This novel follows Jack Kerouac's character Ray through a 3,000 mile journey across the US and his journey to enlightenment. Kerouac's poetic prose is certainly captivating and finishing this book makes you want to examine your own consciousness. "One night I was meditating in such perfect stillness that two mosquitoes came and sat on each of my cheekbones and stayed there for a long time without biting and then went away without biting". 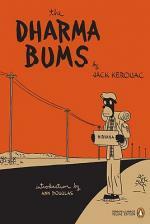 Dharma bums captures an insightful journey, love for poetry, zen and Buddhism beautifully written." 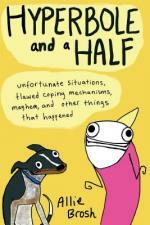 "Hyperbole and a half was an extremely witty and fun read...in fact, I read it in one sitting as I could not put it down. This book brings humor to an otherwise not so funny topic of depression and bipolar disorder as Brosh's comical mind examines it. The hilarious pictures which are crudely drawn lighten the topic and had me rolling with laughter from start to finish." 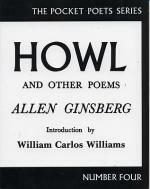 "Another Beat Generation great, Allen Ginsberg's poetry is raw, sharp and beautiful. Though much of these poems have societal undertones and address things like sexuality and addiction, Howl and other poems is an excellent read for those who like poetry with a punch." "This book is clearly a literary work of art. 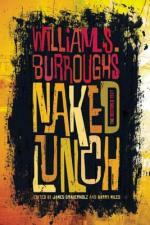 If it weren't for Allen Ginsberg and Jack Kerouac, Naked Lunch might not have ever been published. Ginsberg and Kerouac visited Burroughs in Tangiers and tried to salvage what literary genius had been dripping from Burrough's pen. 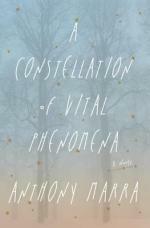 This book is not a novel by any means, it is a collection of thoughts and fears and if you are considering jumping into this book looking for a linear plot then you will be disappointed. Rather, this book can be dissected at any point and digested for the wonderful handle of words that can only be expressed by Burroughs." 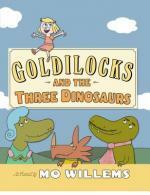 I thought I’d heard more than I’d ever wanted to about Goldilocks until Mo Willems wrote this delightful tale. His adaptation of the classic includes a funny dinosaur visiting from Norway and many hidden delights in the illustrations. Goldilocks’ many faults are addressed, such as barging into strangers’ homes, and discouraged heartily. Goldilocks does eventually wizens up, notices that things are not as they should be, and escapes the dinosaur’s ingenious trap. Willems concludes that the moral is “If you ever find yourself in the wrong story, leave. This book combines lovely illustrations with quirky descriptions of strange frog species. The gorgeous illustrations vividly portray the most fascinating habits of these unique frogs. The onomatopoeia keeps the attention of younger readers. 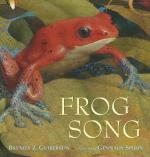 This book encourages us to be mindful of our water use to ensure these frogs can continue to sing. Rob Bell asks 'How do we reconcile faith in God with the suffering of the human experience?' This pain causes us to wrestle with our spiritual beliefs. This wrestling deepens our faith. It results in an inner beauty which would be impossible to develop without suffering. Bell examines this beauty resulting from pain. This is the only book by Rob Bell that I would recommend to everyone regardless of background. I have reread it during difficult times. It encourages me to look beyond the pain of the moment and realize that there is a reason even if I don’t understand it. Tom Reiss tells the riveting story of Alex Dumas the father of the acclaimed novelist Alexandre Dumas. Alex Dumas’ life provided source material for much of his son’s novels so much so that The Black Count reads more like a work of fiction. Born to Antoine Alexandre de l’Isle and his slave Marie Cessette Dumas in Saint-Dominigue, modern Haiti, Alex Dumas rose from a slave to a general in the French Army. Reiss deftly combines the rich historical context of an tumultuous time in European history while expanding ones understanding of a figure responsible for a large amount of this time periods perception. 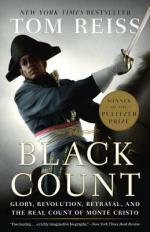 Portions of The Black Count seemed quite familiar almost lifted from Alexandre Dumas’ novels instead of the inverse. This is one of my favorite biographies of all time. 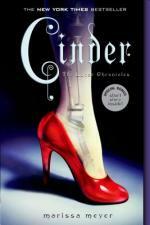 This retelling of the classic fairytale Cinderella surprised me. It’s compelling and not at all what I expected. 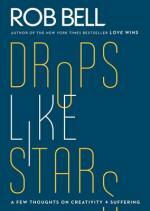 Meyer has managed to write a YA science fiction fairytale. I don’t typically read any of these genres but I am very impressed by Cinder. I loved the heroine who is a cyborg mechanic and anything but a damsel in distress. I highly recommend this one. I devoured the third book in this series in 3 days. It is a fabulous fun read perfect for fighting the winter blues. I especially enjoy the strong female protagonists." Set in 1986, this punk-rock romance tells the story of two outcasts who fall in love over comic books and the sounds of New Wave. Prickly, overweight Eleanor is afraid to let anyone new into her life after being betrayed by the people she trusted most. And Park, the only half-Korean, half-Polish Goth in town, doesn't know how to fit complicated Eleanor into his already complicated life. 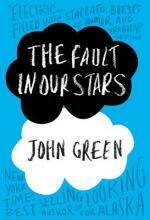 I completely loved this tragic-but-hopeful novel. 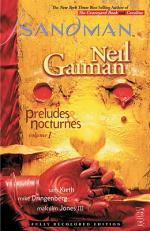 Neil Gaiman's Sandman is one of the most critically acclaimed comics of all time, and when you read the first volume, you'll see why. Beautiful artwork, compelling characters and staggeringly poignant writing and story lines make Sandman one of the best works of its kind. Even if you don't normally read comic books, pick this one up. You won't be disappointed. 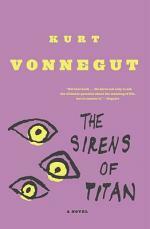 Everything Vonnegut wrote was wonderful, but this is a particular gem. Loopy, funny, sad and fantastic, this is Vonnegut doing all of the things that he does so well. If you haven't read it already, read it now. If you have, read it again. I'm not sure that there is a book that captures the perfect magic and mischief of Roald Dahl's writing better than Matilda. 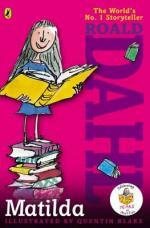 This delightful story celebrates a precocious young girl who gets the better of all of the awful adults in her life. It's every kid's fantasy, brought to life. This book is written for young adults, but if that description doesn't fit you, don't let that stop you. 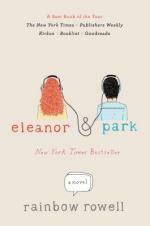 This is a hilarious, heartbreaking novel about two teens who meet at a cancer support group and fall in love. Through the ebb and flow of illness, and a madcap journey to Amsterdam, they learn about the possibilities that life supplies even in the face of imminent death. This is either the most tragic comedy or the funniest tragedy that I've ever read. 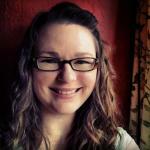 A story about Ruth, a writer living on a really remote PNW island with her husband and dog. Ruth discovers some old stuff that washes up on the beach, including a journal written by a young Japanese girl. The journal tells the story of the bullying that is being done to her, her father's attempts at suicide after losing his job, and the tender and interesting story of her great-grandmother's life. This is all tied together with Ruth's life on the island and her troubled relationship with her husband. The story takes place after the Russian-Chechnyian war. The book is starkly beautiful. Marra's style of writing is gorgeous and haunting. This was one of the most beautiful novels I've ever read. It is about the aftermath of the war. The main section of the book deals with an incompatent doctor (but a great artist), and his dangerous goal of bringing a 5-year old orphan girl to safety. I knew little about North Korea, so this was enlightening and scary. It was a wild ride but most of it was based on possibly events. My book club read this and had a great discussion about North Korea's eccentric leader's, and then a month later, one of their leader's was executed! 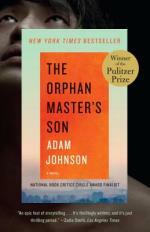 Orphan Master's Son was a love story and a thriller. I am a big Donna Tartt fan. This is sad because she's only written 3 books and they are 10 years apart, so it's been a long wait. 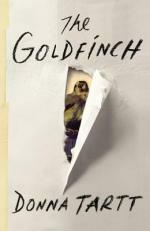 The Goldfinch is a thriller, and a love story that is very exciting. Miss Tartt is great at writing suspense. The book opens as the main character and his mother are going to an art exhibit. When they are in the gallery a bomb goes off and his mother is killed. He is given a painting called the Goldfinch. The novel covers the next 20 plus years of his often dangerous life. What a great read. 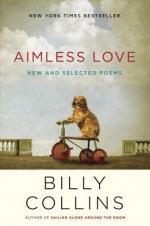 Billy Collins is a very easy poet to read, but he can also be very insightful and good. I enjoyed his new collection of old favorites and some new poems. We all know that he is "accessible", but I think that he is actually a better poet than that. He is a poet that I enjoy spending time reading and I was happy to get his new book. 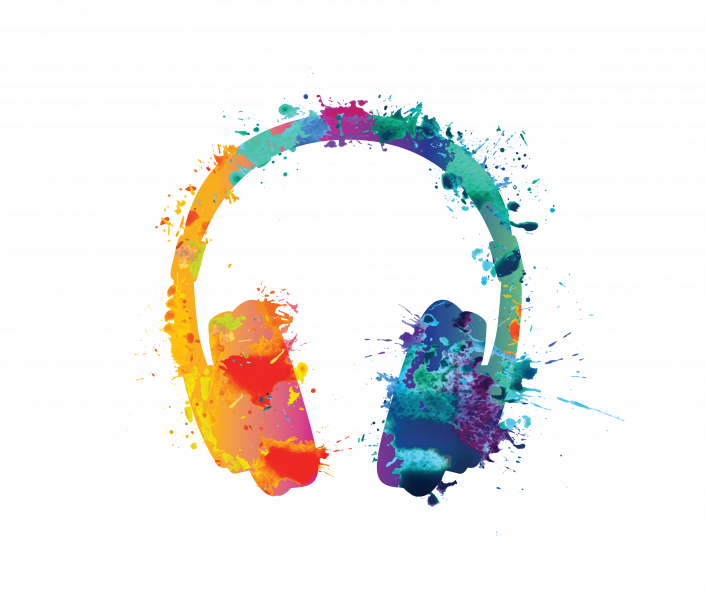 Pulphouse, Mind In Motion, The Seattle Review, The King’s English, and MAKE. Commitments was released in April of 2013.
former lover from the barbarism of a corrupt and power-hungry government? "This book blows my mind every time I open it. I have always struggled to grasp what the bible meant when it talks about God being Holy. What is holy? How is he holy? God calls us to "Be Holy, for I am Holy" 1 Peter 1:16. How can I do this if I don't even know what it means to be holy? In the first couple chapters he explains that to be holy is to be set apart, a cut above something. In a world where we so desire to fit in and be like everyone else, God calls us to be set apart. Once we encounter him and experience his love how can we not? He takes a deeper look and meaning at God's holiness in different stories in the bible, how many times the word is used and how it has effected so many people who have encountered Christ. 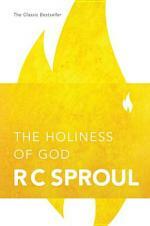 Sproul is an amazing theologian who writes on a level that is not head banging or mind straining. Yet his writings do take you to a deeper level of understanding and longing for more." 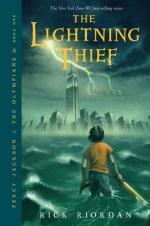 "I feel like Percy Jackson is quickly becoming a children's fantasy classic. Riordan tells amazing Greek mythology stories that are witty, hilarious and will keep you wanting more. I have read all of his books and quickly finish his new releases. Which is always frustrating because he leaves huge cliff hangers at the end! The Percy books has been a great read not only for young readers but for adults as well. I can't even count the number of times I have given a recommendation to adults looking for gift ideas and have sold them these books." 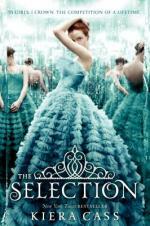 "The Selection is a mix of The Hunger Games and Delirium. In a post-apocalyptic United States, America Singer is chosen in the national lottery to compete against 35 other girls for a chance to become the next queen of Illea. For any girl this is a dream come true but for America this is a nightmare. The man of her dreams just broke her heart, she is being ripped from her family, there is a rebellion that puts her in danger with every minute she spends at the castle. To make matters worsse, the whole contest is broadcasted for the nation to see. I loved this book because it wasn't just another sappy teen romance but having a heroine not just doing what she is told but standing up for who she is and who she wants to be. 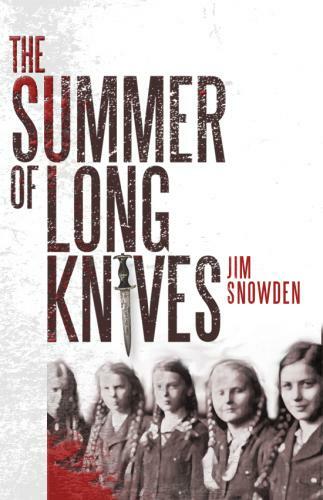 A great page turner!" "If you are needing a small humorous gift for someone, this is it. 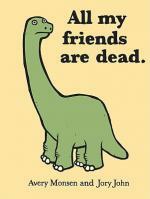 All my Friends are Dead is a small pocket-sized book full of laughs, cute drawings, sad and humorous commentary. It's something I like to read to some of my friends at my house or when they come to the store. What I also loved is that it is now a new 2014 wall calendar. Humor all year!" 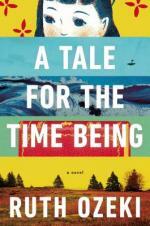 "It's been a long time since I have read a memoir. When we got this in the store I was instantly intrigued. 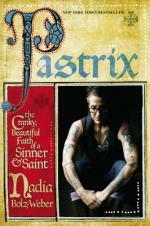 Nadia isn't a typical pastor, she is covered in tattoos, curses, had an incredibly hard past and grew up with a hesitant relationship towards the church. Just coming from a missions trip I was intrigued by her story of overcoming stereotypes, seeing God take her out of the terrible situations she got herself into and starting a church for people just like herself. This is a mind stretching, rethinking book about the stereotypes we put on people who enter the church and are longing for a relationship with Jesus but whom we tend to push away with our actions, words, and unwelcomeness."